When it comes to pie making, I love making a good crumb topping for my fruit pies like cherry, blueberry and apple pies. While I do enjoy a double crust pie from time to time...a crumb topping is always my favorite. A few weeks ago I was experimenting in my kitchen and came up with a unique apple pie crumbing topping that is out of this world...delicious! Here is how I made it. 1 pre-made or homemade pie crust 9" or 10"
Melt butter in the microwave. 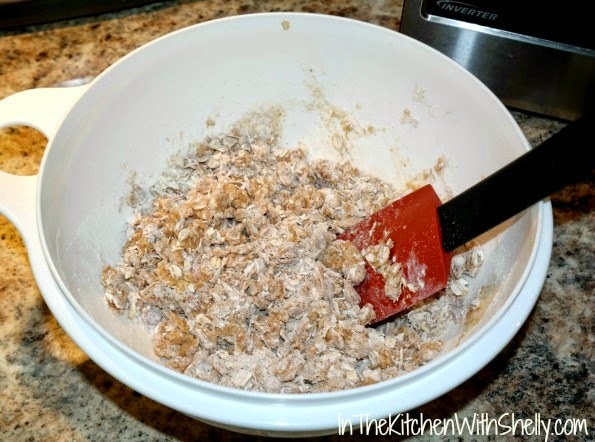 In a medium sized mixing bowl toss together the oatmeal and all-purpose flour until combined. Using a rubber spatula stir in the melted butter until mixture is crumbly. You made need to add a little more butter, depending on if you are making a 9" or 10" apple pie. 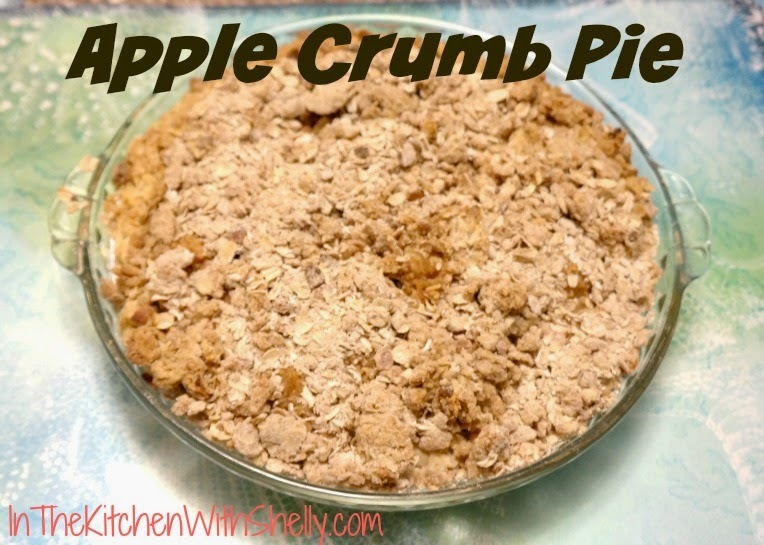 Sprinkle the crumb topping over your prepared apple pie until filling is evenly covered. Place pie into a preheated 350 degree oven and bake for 15-18 minutes. Note: I check my pies at the 12 minute mark and then judge it from there. Remove from oven and let cool. This is an easy recipe for an apple crumb pie. I like the idea pf using instant oatmeal in the crumb.